Today, Deputy Head of the Federal Ministry of Industry and Trade Alexander Morozov announced the imminent appearance of robotic machines on the roads of our republic. «The first unmanned vehicles will come out the streets of Moscow and Tatarstan in late April – May», - TASS agency quotes Alexander Morozov. The decree on the beginning of the experiment on the use of unmanned vehicles on public roads was signed by Russian Prime Minister Dmitry Medvedev in November last year. The start of the project was scheduled for December 1, 2018, but, according to Morozov, spring is a safer period for this. Applications for participation in the experiment were submitted by «Yandex», Moscow Automobile and Road Construction State Technical University (MADI), «KB AVRORA» LLC, KAMAZ, «Innopolis» and Taganrog University. Co-head of the working group of the national technological initiative «AutoNet» and the President of the «GLONASS» partnership Alexander Gurko told TASS that this year about 150 unmanned vehicles, most of which belong to the company «Yandex» will come out the roads. In future, the number of companies participating in the project may increase. The models of Nissan, GAZ, KAMAZ, Ford Focus and Kia Optima serve as platforms. The organizers of the experiment requested about 40 million roubles per year of grants for testing cars for developer companies. Unmanned vehicles will receive a special sign - the letter «A» («Autonomous driving»). The experiment is expected to last until 2022. Let us remind that since 2018, under the agreement between Tatarstan and «Yandex» on the development of unmanned transport in the republic, Innopolis has become the first city in Europe where one can use an unmanned taxi for everyday trips. In turn, last summer, JSC «KAMAZ», which is a member of «AutoNet», presented an unmanned vehicle KAMAZ-1221 «W.A.T.L.» (Widely Adaptive Transport Logistics) developed in conjunction with FSUE «NAMI». - We believe that unmanned transport is the future and highly appreciate our potential in this area. 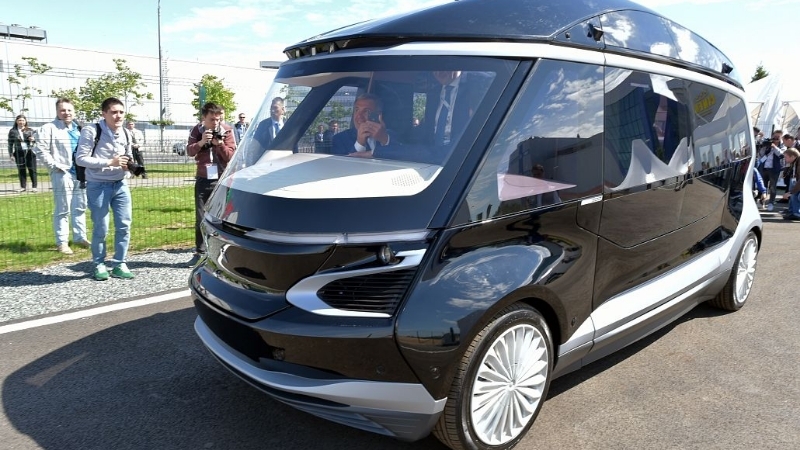 However, the issues of legislative regulation of traffic control of unmanned transport on public roads are still not resolved, so it is impossible to provide a specific date of introduction of drones to life» - the Director of the Department of public relations of PJSC «KAMAZ» Oleg Afanasiev refers to position of the management of auto-giant. According to him, the company develops software for drones independently, and the hardware platform is created together with partners. – We do not name specific companies, as there are plenty of them and they vary depending on our needs, - Afanasiev says. - Tatarstan, as a pilot region of the most advanced projects of the country, is ready for unmanned transport. We are implementing several major projects in the development of the transport network, and the roads are being modernized in accordance with the requirements of the time. The agreement between Tatarstan and «Yandex» company is the proof of how the Republic is interested in promotion of such initiatives, - the Head of Tatarstan Investment Development Agency comments. - Such openness to innovation is attractive for international business. So we expect that positive results of the experiments will attract new investors to the republic. Especially when Tatarstan is developing the automotive industry actively and working closely with the leading automakers in Germany and the United States.